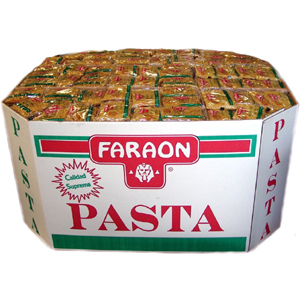 Faraon Pasta bin display will keep your consumers happy with plenty of their favorite top quality pasta. Pastas are fun, economical, nutritious, easy to cook. They come in many different varieties and have unlimited cooking variations, such as salads, soups, stews , or simply by themselves. Enjoy the Faraon quality.